 Money20/20 is the industry’s primetime conference and the largest global trade show focused on payments and financial services innovation for connected commerce at the intersection of mobile, retail, marketing services, data and technology. This year, Money20/20 expects over 10,000 attendees, including more than 1,000 CEOs, from over 3,000 companies and 75 countries. Join Bloomberg’s Erik Schatzker as he sits down with Ingenico Group’s Chairman & CEO, Philippe Lazare for a fireside chat. 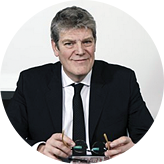 Philippe Lazare came to Ingenico Group in 2007 with extensive operations management experience. Learn more. Looking to beef up your professional bio and/or LinkedIn profile? Come down to the Ingenico Group Headshot Lounge and we’ll take a new complimentary headshot of you! Ingenico Group’s Vice President, Strategic Initiatives, Gregory Burch, will join a panel of experts to discuss the latest innovations with Android Pay and other mobile payment solutions. Learn more. 4. EMV Migration: Deadline has passed, what now? The EMV migration deadline has passed, now what? 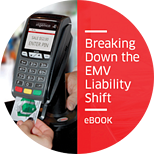 Talk to our payments and security experts about the recent Liability Shift deadline, and receive a download our new EMV ebook. Click here to schedule your appointment. As Apple Pay becomes more popular, listen to speakers from major stakeholders such as Best Buy, Elavon and ShopKeep POS as they share their perspective of the revolution of mobile payments. Learn more. You can also download a PDF version of this list by clicking here. Now you can easily print it out, bring it to the show, and plan your schedule accordingly. We look forward to seeing you in Vegas. Be sure to schedule some time with one of our payments experts by clicking here.